Modern lifestyle involves spending time reading books and magazines, watching television, playing video games and spending hours staring at computers screens. All these activities put tremendous strain on our eyes while trying to visualize near-distance objects, within the range of 10 to 20 feet. We seldom watch objects in the distance for a long time. Constantly watching objects of near vision ultimately changes the natural accommodation of the lens in our eye. This results into blurred vision while watching distant objects. For correcting this vision error, you need to wear numbered prescription glasses. 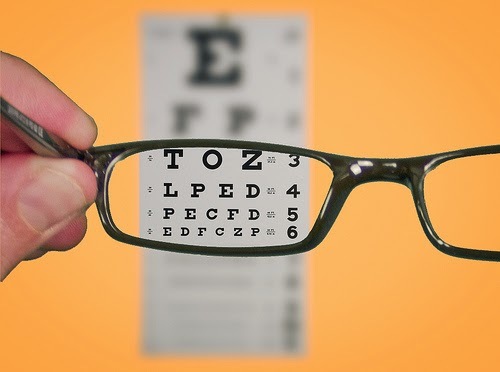 Some people may have a vision defect since birth resulting in poor eyesight. Such cases may need vision correction. Laser eye surgery is a non invasive procedure. It works on the principle of reshaping the front portion of the eye called ‘Cornea’. In most cases, after a laser surgery, the patient is able to see the distant objects clearly without wearing glasses or contact lenses. Eye problems related to myopia (nearsightedness), Hyperopia (farsightedness) can be easily treated with laser eye surgery. There are a couple of laser eye surgery methods available. The most popular one is LASIK, which is a surgery to reduce eye refraction. Lens implants are also done with the help of lasers and can be done at an eye doctor’s clinic easily. Eye exercises such as eye yoga may also help restore normal eyesight gradually. This yoga eye exercise is also known as ‘Palming’. Palming helps relax the stress and strain on the eye muscles. All you have to do is to close your eyes and sit in a relaxed position. With each palm, cup your eyes without pressing your eyes. Sit in this position for at least 15 minutes. Palming is known to have help patients reduce their eye prescription numbers. Take frequent breaks while working on a computer or while reading. This will lessen the strain on your eye muscles. Consciously blinking your eyes while you are at work, especially when focused on one object for long time, is beneficial for your eyes. Some people believe that beta-carotene helps improve eyesight. Carrot is a rich source of beta-carotene. Vitamin A intake will help children with refractory error and also people with high eye numbers at an early age. Vitamin A can be found in its natural form in carrots, cod liver oil, cantaloupes, winter squash, spinach. Eating the right food is essential for maintaining health. Adequate consumption of nutrients like beta-cartoene will ensure that your eyes receive the nutrition necessary. Remaining hydrated is also important. As important is to get a good nights’ sleep. Other eye exercises include closing the eye and placing the palm over it. Move the eye slowly, upward, and downward and right to left five to ten times . Splash cold water on the eyes two to three times a day. It keeps your eyes fresh and relaxed, especially after a strenuous work in front of a computer.